A “mole” — the informant kind, not the small furry burrowing animal — told Ben Kuchera at Ars Technica that Microsoft is planning to further cut the prices of the Xbox 360 in September. The “mole” also whispered that hardware and game bundles will be available for the Arcade, Pro, and Elite models in the 4Q, just in time for the holidays. If the “mole” is correct, Microsoft will be the first company to release a major gaming console for less than $200, which may truly reach the mass market for gamers and home theater enthusiasts alike. Nintendo’s Wii, the top-selling game console, retails for $249, when you can find one, and Sony’s PlayStation 3 costs $399 for the 40 GB model (an 80 GB model for the same price may be introduced this fall). 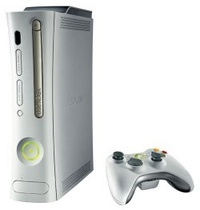 At $199, the Xbox 360 arcade would be a compelling purchase, especially if you can attach your own hard drive to it.